However, NPOs and traditional businesses have very real similarities in terms of things like back office operations and staff management. But more than this, an NPO can benefit from the same kind of business intelligence and reporting that drives traditional businesses forward. This can mean the different between a viable, successful NPO that meets its goals—and an NPO that’s failing. And we don’t need to tell you that being seen as failing can be catastrophic from a reputational point of view, which can adversely affect fundraising. 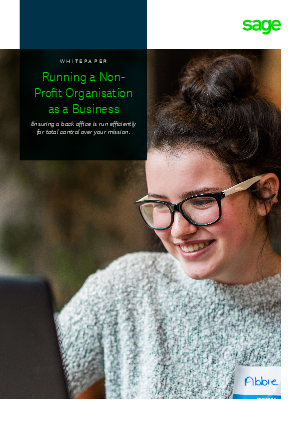 In this white paper we look at some of the specific challenges facing NPOs from the perspective of a back office business operation, and then look at how technology provides solutions to help any NPO to be in total control of their mission—and ensure maximum resources are available for the work that every member of the organisation is passionate about.